There are several popular television shows dedicated to the resurrection of classic cars, including Wheeler Dealers, FantomWorks, and Car Fix to name a few. Each of these shows has a similar plot. The host mechanics find a classic car wasting away in a dirty barn, tow it to the garage and completely rebuild it so the vehicle looks better than the day it rolled out of the factory. 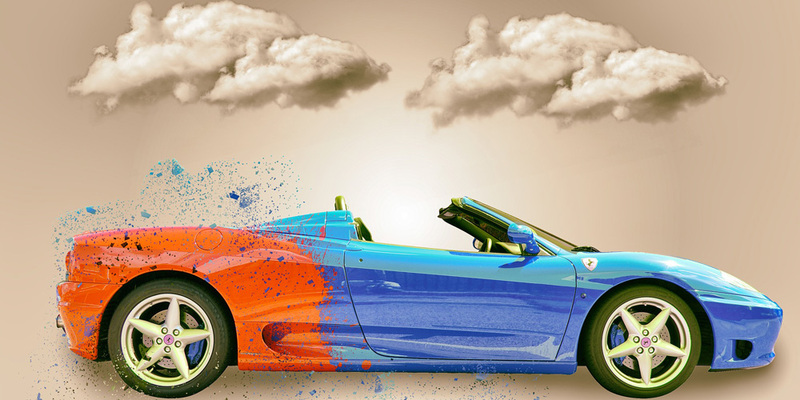 The mechanics consistently do three things to each vehicle they rebuild. They make it faster by dropping in a brand new engine; they make it more functional by modernizing key features such as the suspension and disc brakes; and they make it more desirable by updating the interior and giving it a gorgeous new paint job. There are many parallels to this simple success formula among PCs as well. Everybody wants a fast computer that improves their productivity, fits their personal workstyle, and is something they’re proud to use in front of their customers or at the local coffee shop. Today at CES, we’re introducing a refreshed lineup of Latitude notebooks and 2-on-1s that are much faster, more functional and surprisingly small and beautiful. The addition of new 15W dual-core and quad-core 8th Gen Intel® Core™ vPro™ processors deliver a significant performance uplift to our Latitude portfolio. With more processor cores, any multitasking or multi-threaded workload will see better performance. Adding cores and threads is like adding new express lanes to a highway. In the commercial space, it makes a noticeable difference when IT is running encryption, malware scans and other background apps to secure and connect employees. These updated processors also make these systems lightning fast. In fact, when the first round of benchmark tests on the new Latitude 7390 2-in-1 came back from our lab, the engineers told me they were seeing 59% faster system performance on SYSmark 2014 SE. Finding that hard to believe, I asked them to go back and re-run the test using SYSmark 2014 instead. A couple of days later they came back to me and said, “Andy, we re-ran the tests and got a much different result. We’re now seeing 72% faster performance!” And those results are consistent across the entire portfolio when comparing systems based on Intel’s 8th Gen U-series processors vs. previous 7th Gen processors. We’ve also integrated some really cool innovations throughout the lineup to help improve the functionality of the products and deliver an amazing user experience. 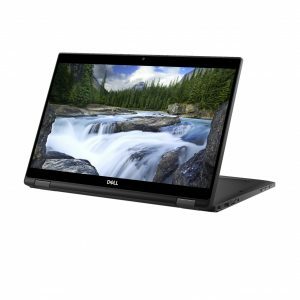 For example, the new 7000 Series notebooks are Dell’s smallest and lightest commercial laptops. The series offers a new Full HD super low power panel for long battery life, new active steering antenna for up to 155% faster WiFi performance at peak levels and new embedded touch display with anti-glare reduces weight and cost. For many on-the-go professionals, having a battery that lasts all day without recharging is crucial. There are days where we rush between meetings without a break or end up on a plane with no power outlets. That’s when battery life is most important. On most laptops and 2-in-1s, the display consumes the most battery life. 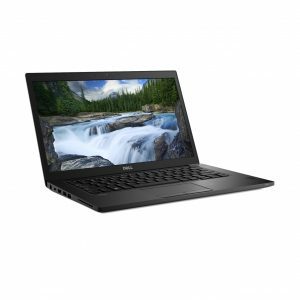 Coming in the spring of 2018, the Dell Latitude 7490 Notebook will be available with a new Super Low Power (SLP) display that offers the same Full HD resolution but only requires 50 percent of the power to drive it! Preliminary battery life tests show up to 22 hours of battery life on a Latitude 7490 notebook with the SLP panel (5+ hours longer than the same product using a standard Full HD panel). This is achieved by utilizing low power LED technology that draws 1.84-1.99W of power as opposed to 3.8-4.6W using the standard Full HD panel. The Latitude 7490 also offers new Active Steering Antenna technology. Exclusive to Dell, this WiFi technology chooses from four different radio wave patterns to find and lock into the optimal choice for your work environment. This adaptable and automatic signal optimization technology results in a major performance jump in range, speed and connection reliability, and is a major boost for devices living on the fringes of a network or separated by several walls within a building. Not only will you be extremely productive with these new Latitude systems, you’ll also be very proud to carry them wherever you go. They are small, portable and employ a variety of attractive materials including 40T carbon fiber weave, machined aluminum and magnesium alloy to make them extremely light and durable. Our 2-in-1s also feature unique hinge designs that that allow the devices to be operated in multiple modes to improve collaboration with colleagues and presenting to customers. The hinges also reduce the product’s overall “z-height” allowing the product to be opened fully while working on an airplane or other constrained space environment. No more cracked displays because the person in front of you decided to lean their seat back to take a nap! Many of our product design choices are a result of listening to customer feedback. Through our design-to-value process, we look at market insights, customer feedback and competitive intelligence to shape our product portfolio. We keep these considerations top of mind when directing the design of our commercial products to satisfy the needs specific to the business audience. For example, customers told us that first-generation detachable 2-in-1s were top heavy and awkward to set up when returning to their desks. So now the Latitude 5290 2-in-1 comes with a built-in auto-deploy kickstand that allows the user to set up the device with one hand. It’s a simple fix, but makes it easier for corridor warriors to move around the office and work seamlessly between a desk, meeting and presentation setup. Finally, there are a few more critical elements we wrap around all of our commercial products to ensure customers are satisfied. We’ve invested millions to ensure we deliver the most secure and manageable products backed by the industry’s most comprehensive support. Dell is the only major PC manufacturer to have a line of business dedicated to data and endpoint security and the only tier one vendor offering customers a single source for purchase and support of hardware. Business owners seeking the ultimate in security and manageability look no further than the updated Latitude 5000 Series Notebooks. 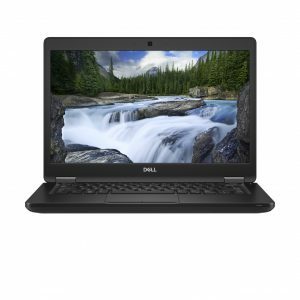 These are Dell’s most feature-rich, versatile and productive commercial notebooks and offer run times up to 22 hours and an environmentally friendly build. They’re also the world’s most secure series of laptops and feature optional multi-factor authentication including touch fingerprint reader, contacted FIPS 201 Smart Card Reader, and contactless smart card reader with Control Vault 2™ FIPS 140-2 Level 3 certification. How, where and when people work continues to evolve. Employees want the latest devices that fit their needs, deliver security and enable them to be productive whenever and wherever they want. Dell is committed to helping businesses transform to meet those needs. Technology is not only a productivity enabler, but also a way to attract and retain the best talent. Ensuring your workforce has the latest fast, functional and desirable mobile products will enable them to reach their full potential. Our new lineup of Latitude solutions are now available, and I cannot wait to hear your feedback on how much more productive you’ve become once you’ve tried them. 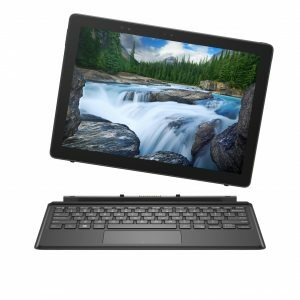 The Dell Latitude 7390 2-in-1 starts at $1149; Dell Latitude 5290 Series 2-in-1 begins at $899; Dell Latitude 5000 Series starts at $779 and Dell 7000 Series starts at $1049. All devices are available starting January 9, 2018.